Did you know 5.25 million Americans used 10 or more rolls of plastic wrap in 2018*. That’s 52 millions rolls of plastic wrap making their way to a landfill just in one year. 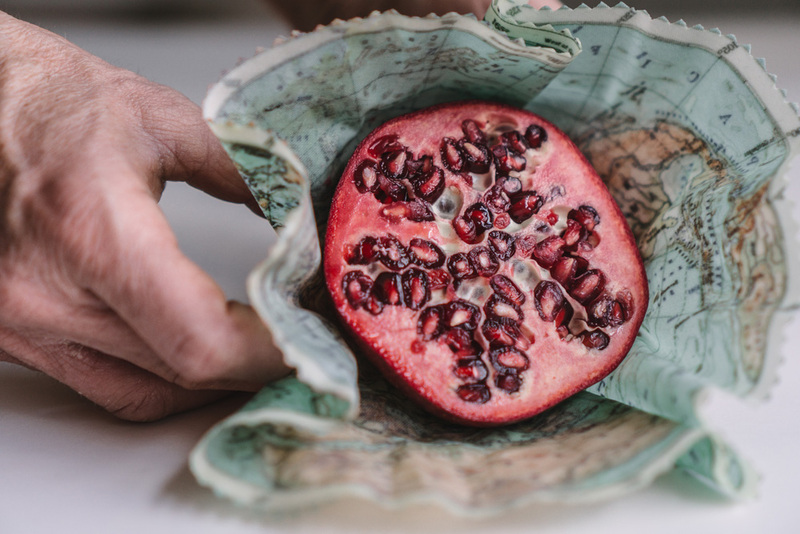 If that number has you picking your jaw off the ground and asking what can be done to help lower this number, we’ve got the solution for you: Robbi Lindeman’s reusable food wraps. A food wrap is a reusable, biodegradable food storage wrap commonly made of 100% organic cotton, pure beeswax, organic jojoba oil and natural tree resin. 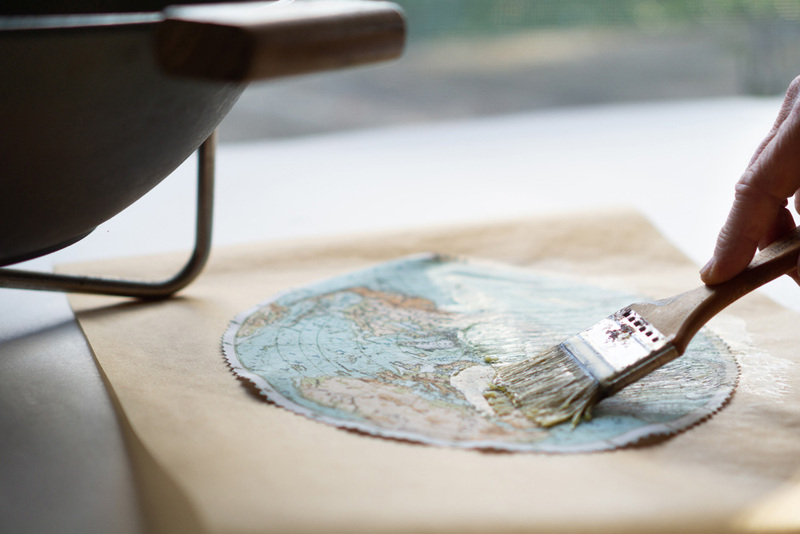 At Spoonflower, one of our core values has always been sustainability which is why we are so excited to share an eco-friendly DIY project that will help you cut back on your use of plastics. Spoonflower designer and small business owner Robbi Lindeman is taking you through all the steps to make this no-sew project. Are you ready to go green? Robbi: Saving the planet, even one small step at a time, seems like a good New Year’s resolution, doesn’t it? We all have sustainability – through reusing, recycling, repurposing, restoring – high on our values list these days. 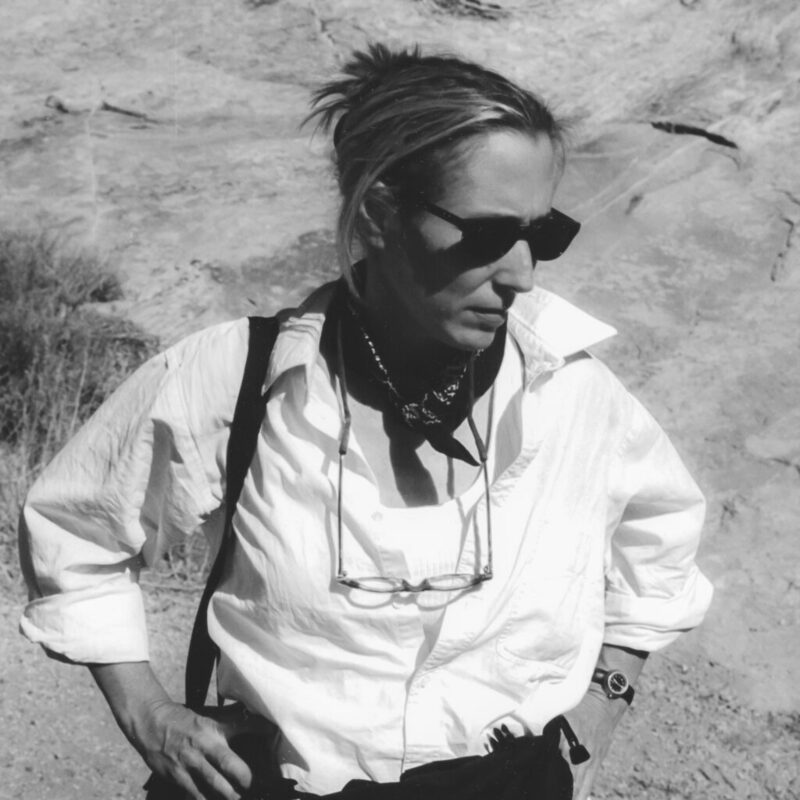 It’s always been true for Spoonflower in their approach to sustainable textiles. A few years ago, my husband and I bought an old, abandoned farmhouse sitting in the midst of cherry and apple orchards along the Lake Michigan coastline. For several summer weekends, while we slowly rehabbed the farmhouse, we witnessed and appreciated the annual cycle of the fruit trees in the landscape around us. We watched the clusters of bee hives on the edges of each of these fields come alive each spring and be active throughout the summer. When you live amongst these farms and their trees, you become keenly aware of how important the bees are to the sustainability of our agriculture. The bees are among the most important components of the local ecology for these fruit farmers. They are vital as pollinators to ensure the survival of the farmer’s flowering crops. Sleeping Bear Farms, our local honey producer, is the commercial apiarist who stocks the bees to the surrounding fruit farms (and is my beeswax supplier). This introduction to the local apiary (a location of beehives with honey bees) business inspired me to create food wraps using their beeswax. I also realized these wraps are the perfect medium for recycling my Spoonflower remnants. 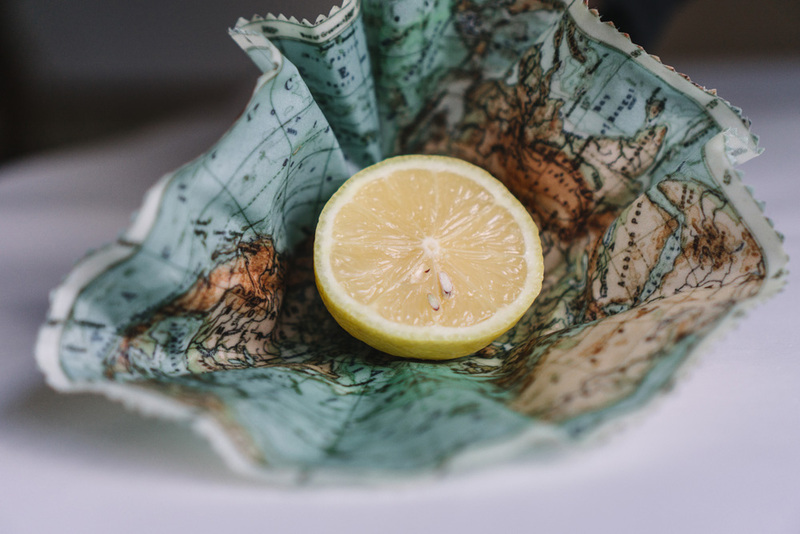 In our growing eco awareness and concern for the planet, this DIY has the dual benefits of eliminating single-use plastic in the home while repurposing our Spoonflower scraps – a win/win that is a small yet significant step to a healthier planet. 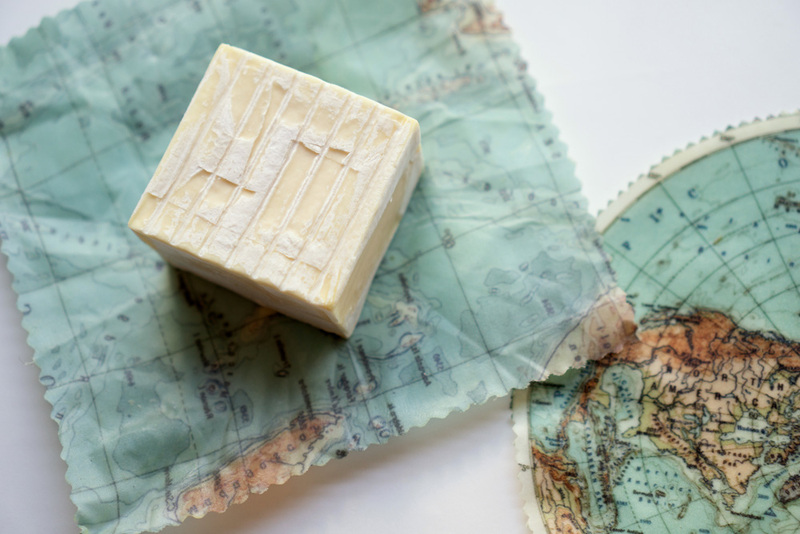 There are many DIY recipes out in the world of beeswax wraps. Most of these have beeswax as the sole ingredient. My experimenting, however, brought an improvement using three simple but essential ingredients to infuse the organic cotton: beeswax, tree resin and jojoba oil. After testing many versions, I’ve found that this recipe has sufficient cling and pliability to stay wrapped. The warmth of your hands as you shape it around food, jars and bowls will also help ensure the seal and keep your food fresh naturally. Great alternative to single-use cling-wrap or zip top bags. Naturally stores and protects food from light, moisture and air. The natural antibacterial properties of all 3 ingredients, it is believed, help keep food fresher, longer while allowing the wraps to be reused many times over. Wraps are washable and reusable and can last up to 12 month with proper maintenance. Wraps can be composted or used as fire starters for wood-burning stoves or campfires, ensuring zero waste. 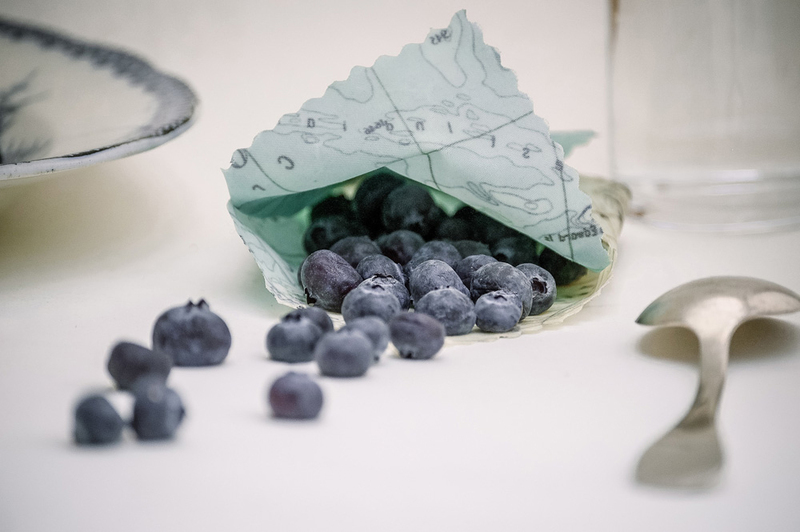 *I recommend using Spoonflower’s GOTS certified Organic Cotton Sateen because their eco-friendly print process uses 100% biodegradable, non-toxic inks – good choices for a fabric intended to wrap our foods. Using a thin but tightly woven organic cotton is key to wraps that will readily absorb the wax but also helps malleability. You may have noticed I specify using old tools for this project. The beeswax residue is difficult to completely remove so it’s best to have a dedicated set of tools for your reusable wraps. Looking for old tools? Try your local thrift shop! 1. 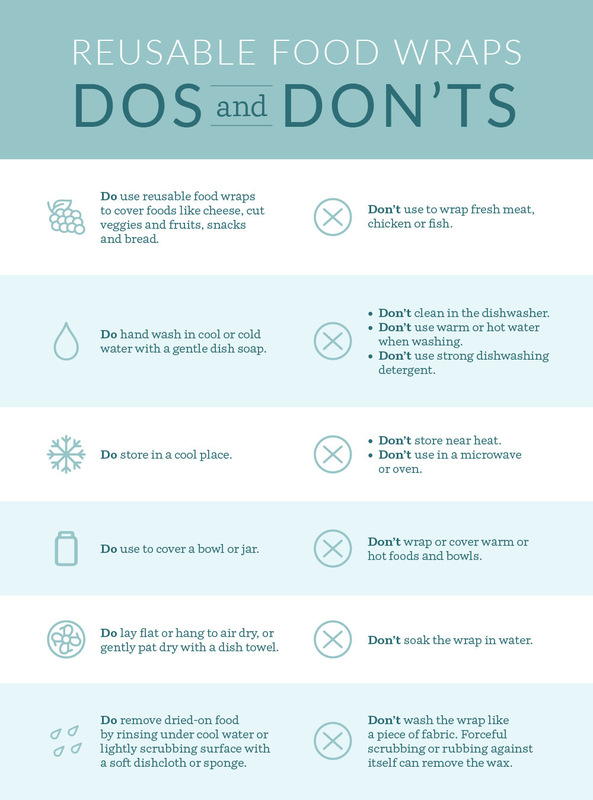 Prep your space. DIY reusable wraps are a messy process so I cover all my surfaces with an old tablecloth. 2. 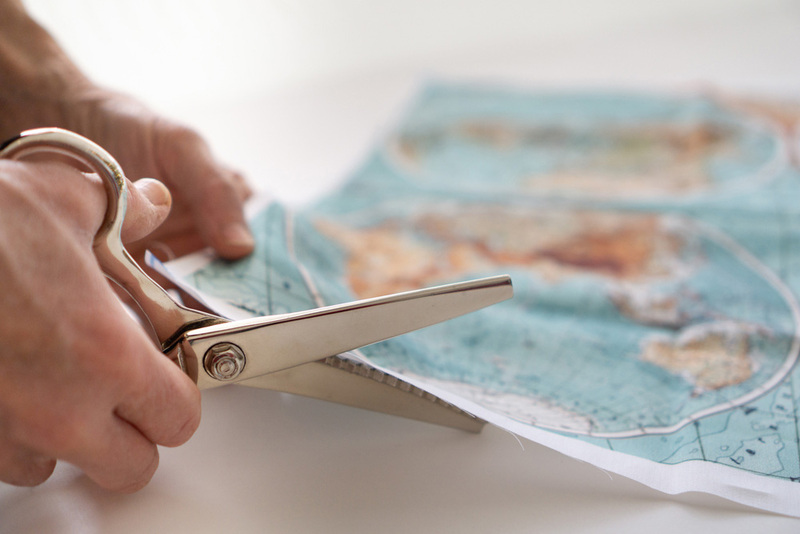 Cut out all six shapes from the Mother Earth Map Wraps fat quarter with pinking shears to prevent the edges from fraying. 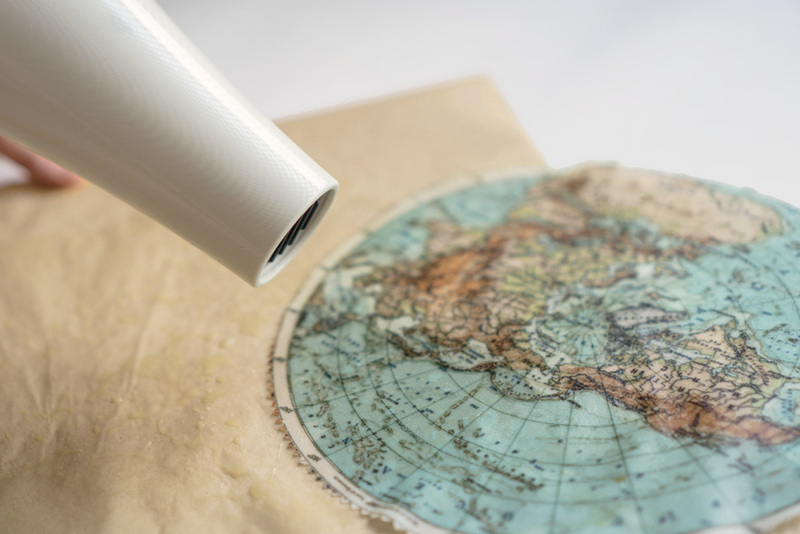 The Mother Earth Map Wrap includes (4) 9″ globes of Eastern and Western Hemispheres, North and South Poles, 10″ x 10″ North American map and 10″ x 8″ North American map. 3. Measure out your ingredients and place in your wok or pot. 4. Melt all 3 ingredients together in a wok on a medium temperature (or stove-top double-boiler). Stir using a wooden stick. 5. Once melted, turn the heat down to low. 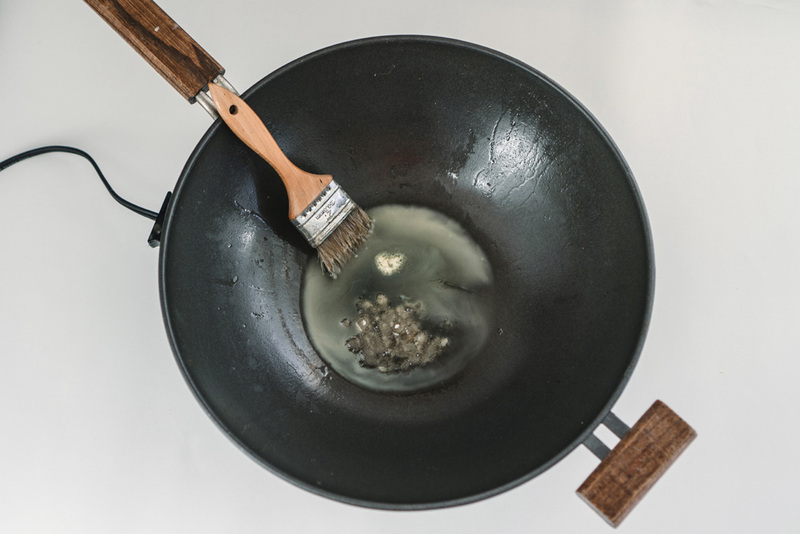 To prevent the wax mixture from overheating, turn off the wok between each wrap coating. Important note about working with beeswax: Caution must be taken in the melting process with these ingredients because they are flammable. Never leave the mixture unattended during the melting process. A low heat and careful attention are advisable. Beeswax has a melting point of approximately 145° F to 147° F (63°C to 64°C). To avoid discoloration and overheating, your mixture should not go above 185 °F (85 °C). 6. Starting at the center of the fabric and moving out to the edges in each direction, quickly brush the melted wax mixture over one of the cut out fabric pieces with short strokes. Brush and evenly coat entire surface of the wrap fabric. 7. 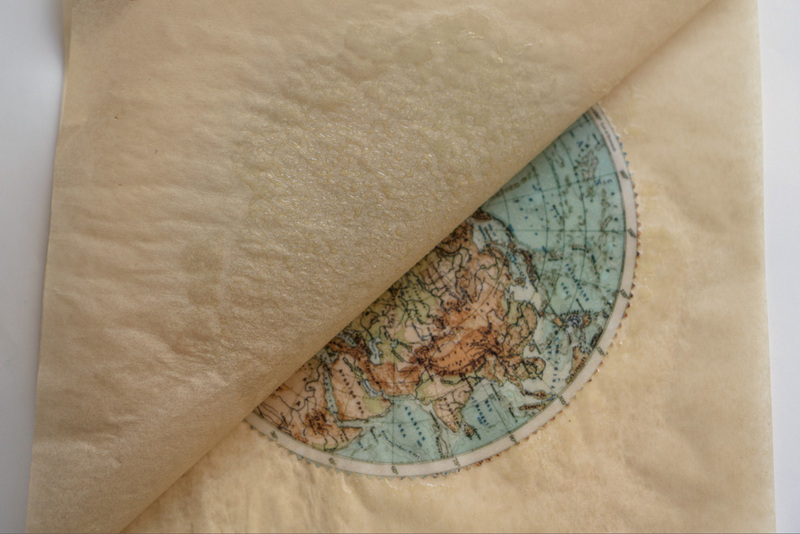 Place the wax-coated fabric between two sheets of parchment paper, making sure the parchment covers the fabric and several inches beyond. 8. Iron the parchment-covered fabric at a medium-to-med-high setting, making sure to keep the iron moving the entire time. I suggest ironing from the center outward, pushing any excess wax beyond the edges of the fabric for a lightly saturated but even coating over entire fabric. It should look evenly wet all over. Pro tip: If you do get wax on your iron, wipe it off well with an old towel or a rag. If you do not remove the wax from your iron, it will smoke when reheated. 9. 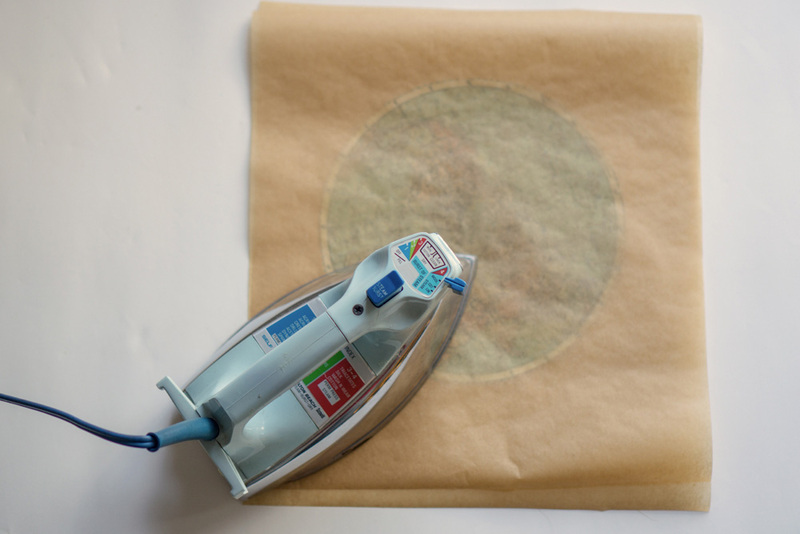 Lift the top parchment off the fabric while the wax is still warm from ironing. Continue pulling the fabric away from the bottom parchment sheet and quickly lift the fabric off the parchment. 10. Gently move the fabric back and forth in the air for a few seconds to cool (or hang on a line to cool). Pro tip: If the wrap’s wax surface looks slightly uneven, re-warm the wax surface using a blow dryer on low heat to slightly re-melt and even out the wax. 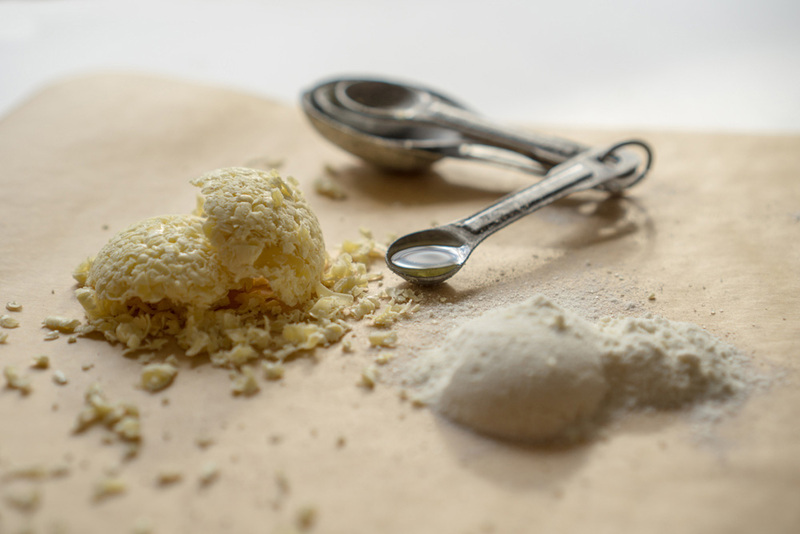 After making your beeswax wraps, simply scrunch the beeswax wrap a few times to soften the wrap. Pro tip: Softening the wrap helps it adhere better. Being a natural beeswax product, expect minor creases and cracks as it wears. Staining will also happen with food like beets and pomegranates. With normal use and proper care, wraps are reusable for about one year. 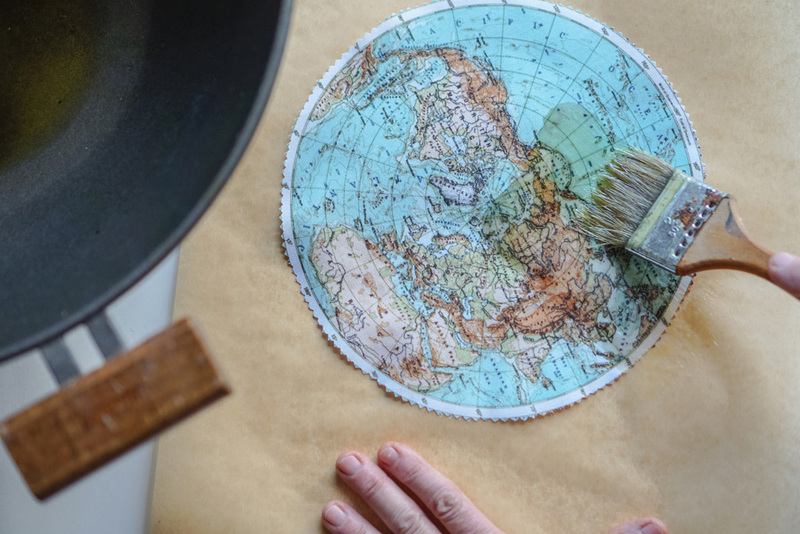 Robbi Lindeman’s map-inspired home goods line, Salt Labs, is the evolution of a map-collecting habit she acquired years ago. 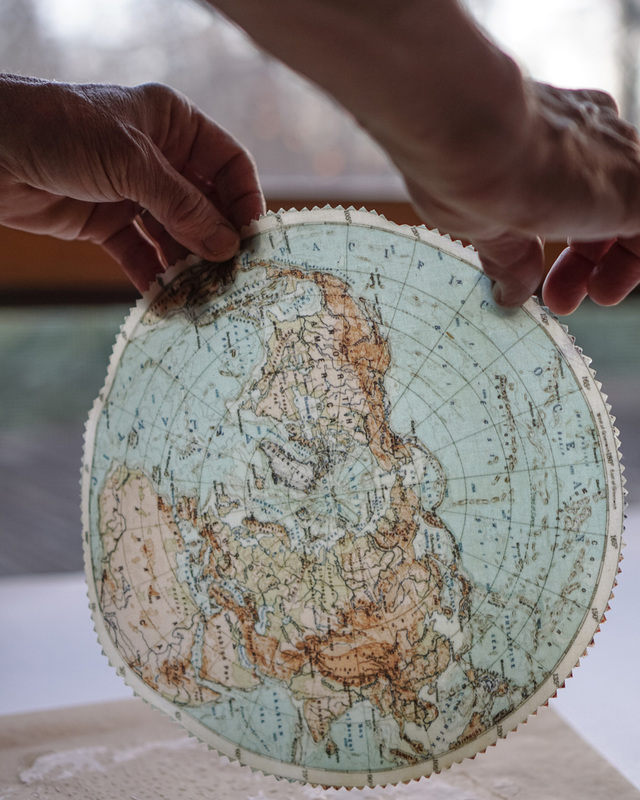 Her map obsession began in her early twenties when, trusting her folded and wrinkled paper map, she hitch-hiked for two years across South America. 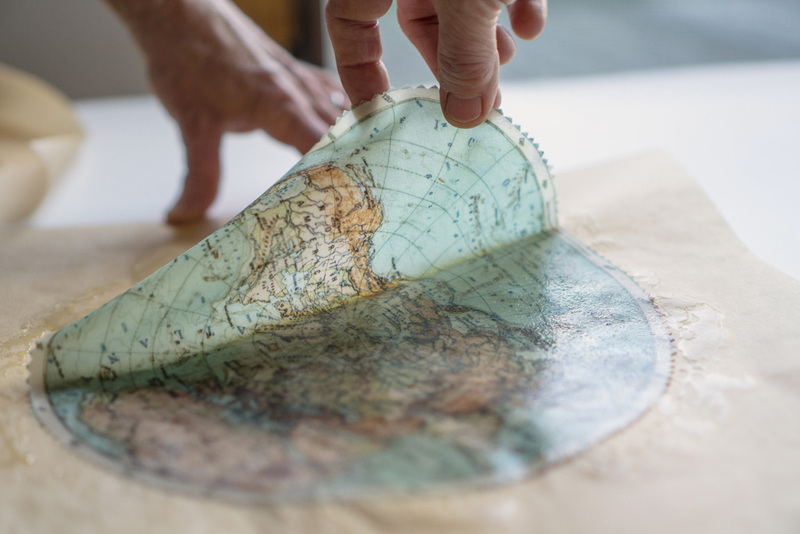 This life-long obsession continues today as her family’s adventures are plotted out, and best remembered, on a good paper map. You can find vintage versions of these maps covering the walls of their up-north Michigan farmhouse. 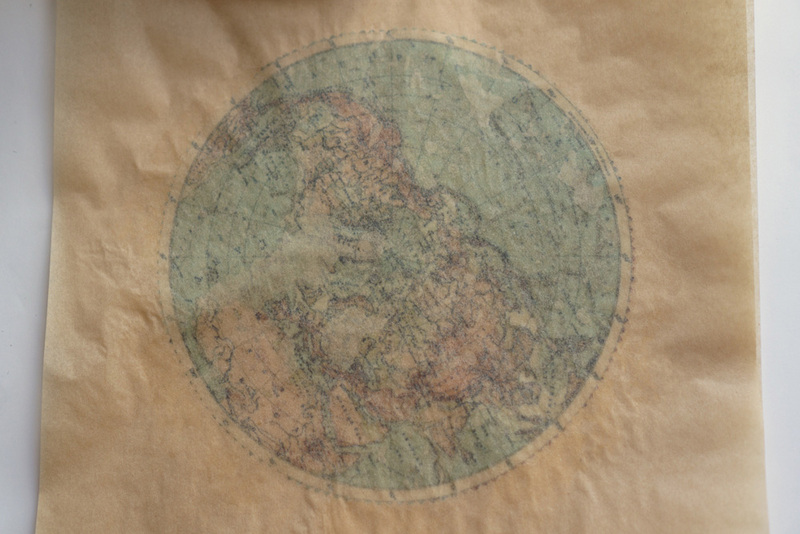 Look for her Mother Earth” Map Wraps™ fat quarters in her Spoonflower shop.